This week’s data set was quite simple, yet the Community took the five columns and 25 rows, turned it into compelling visualisations that told a much better story and had much better insight than the original. With big data, we often get overwhelmed with choices and it can be quite challenging to find insight, but for me visualising small data can often be just as challenging if not more so because you choices are almost predetermined for you. We had a list of 25 Fortune 500 companies, meaning we only had one dimension with which to explore the data, hence we’re limited a bit with our visualisation choices, yet that limitation forces us to keep things simple, as you’ll see from my list of favorites below. 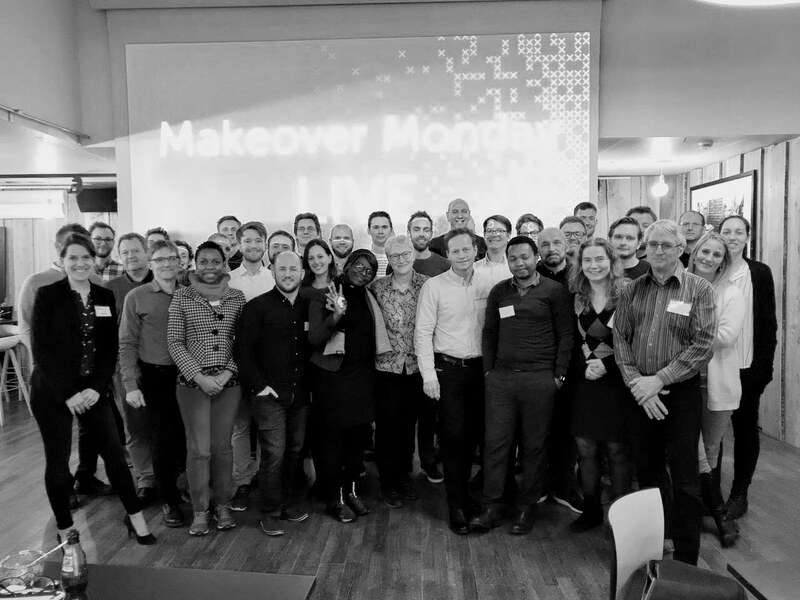 This week also marked the first Makeover Monday Live event of the year. Eva was at the Copenhagen TUG, gave them an hour to create something and had them present. Several also were posted on the data.world discussion. Before we get to the favorites, allow me to walk you through two quick lessons. LESSON 1: WHAT IS THE PURPOSE OF A SCATTER PLOT? Scatter plots show how much one variable is affected by another. The relationship between two variables is called their correlation. The closer the data points come when plotted to making a straight line, the higher the correlation between the two variables, or the stronger the relationship. Ok, now that we have the definition and purpose out of the way, let’s look at this scatter plot by Anne Drake which we covered during this week’s Viz Review (watch it here). Going back to the definition, we’re looking for a strong relationship between the variables. In this case, the companies are spread all over the place, indicating that there is no relationship between a company’s Fortune 500 ranking and how much profit they make per second. Scatter plots are fantastic for quickly looking at relationships between measures, but if there’s no relationship, should you use the scatter plot? I would recommend not. What the heck do I mean by this? Here’s the situation with this week’s data. First, the companies listed are a portion of the Fortune 500, which is an annual list of the 500 largest US industrial corporations, as measured by gross income. There are a couple of very IMPORTANT words here: (1) US corporations and (2) gross income. 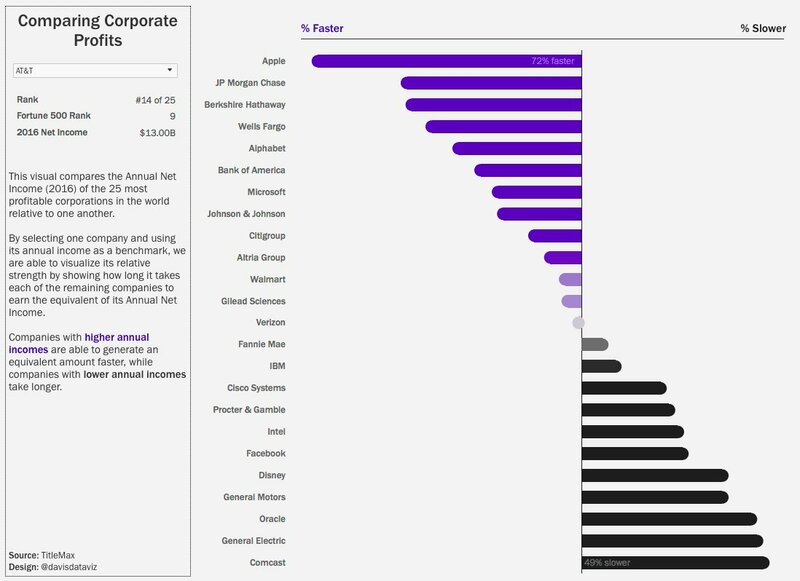 Too many people assumed these companies were the top companies in the world. They are not. 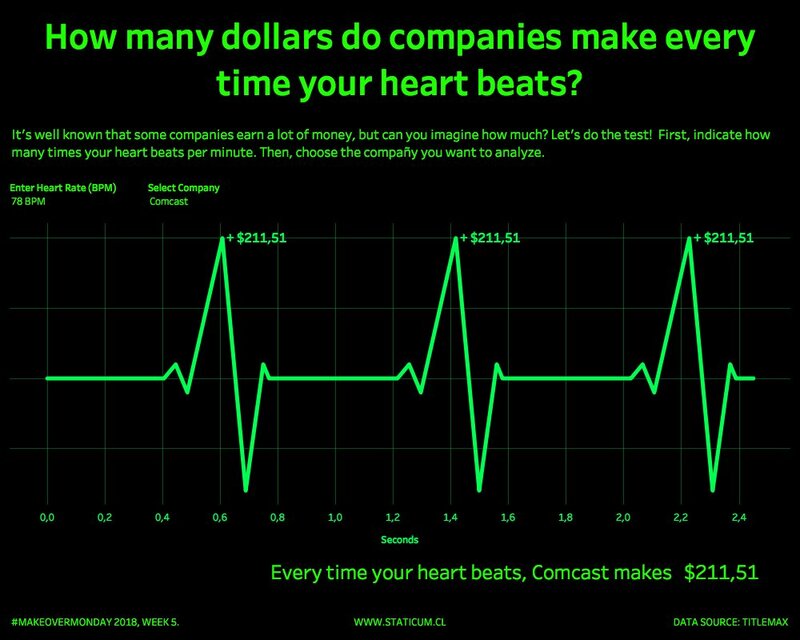 These are US companies. 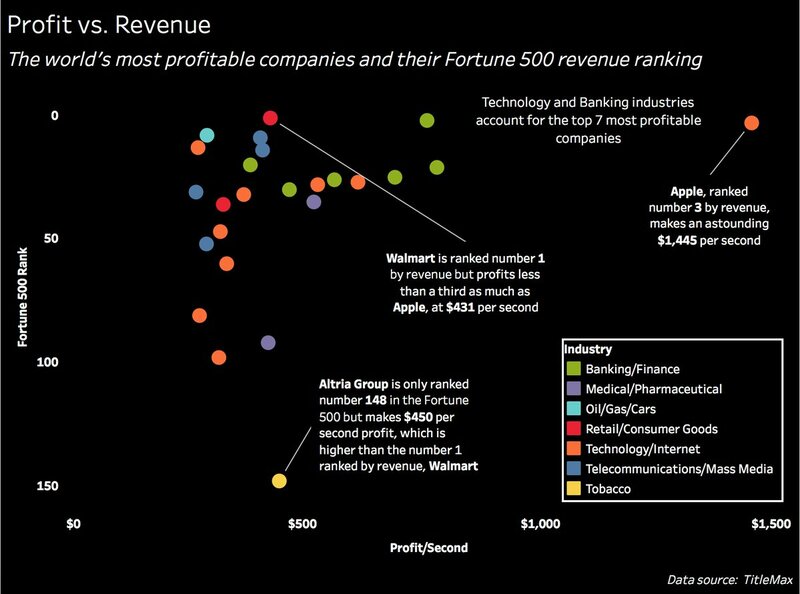 Take some time to understand the data, do a quick Google search to ensure you know what the Fortune 500 means. 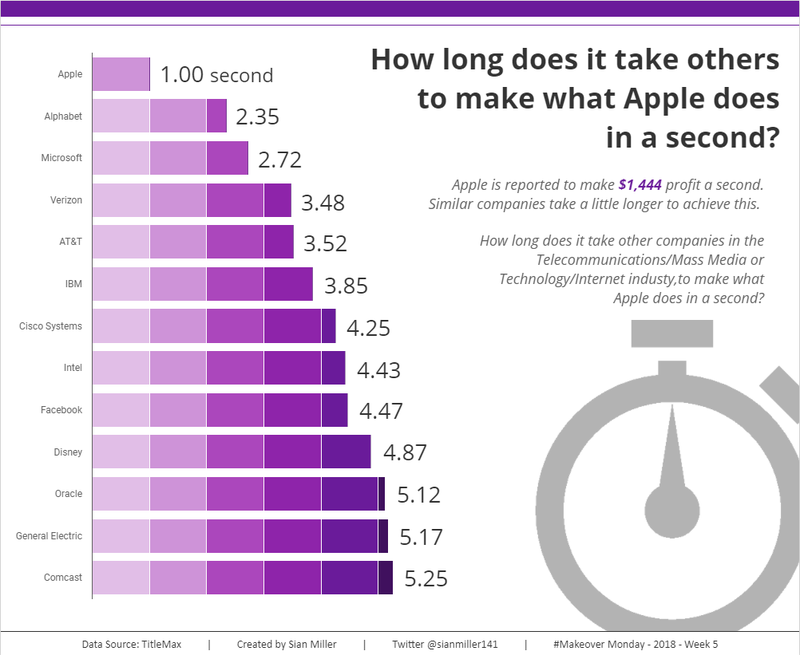 The companies in the list we had were the companies with the highest profit per second. 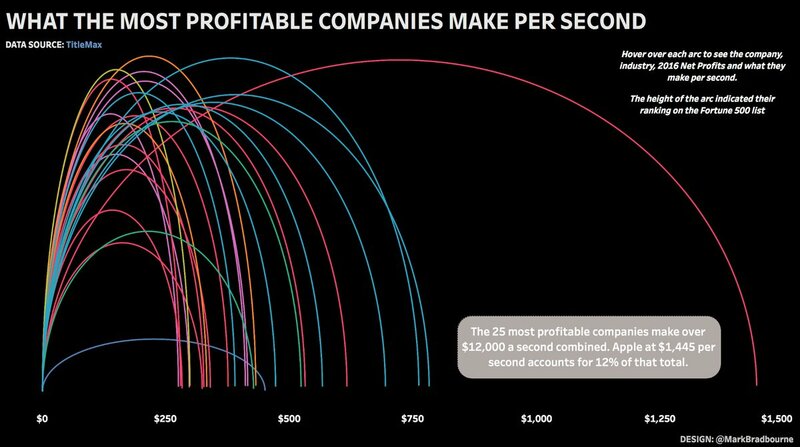 Gross income and profit per second are not the same thing, otherwise the companies with the most profit per second would also be the top 25 on the Fortune 500 list. Related to point #1, there were many people that assumed the companies in a particular industry (e.g., banking/finance) represented the entire industry. NOT EVEN CLOSE. 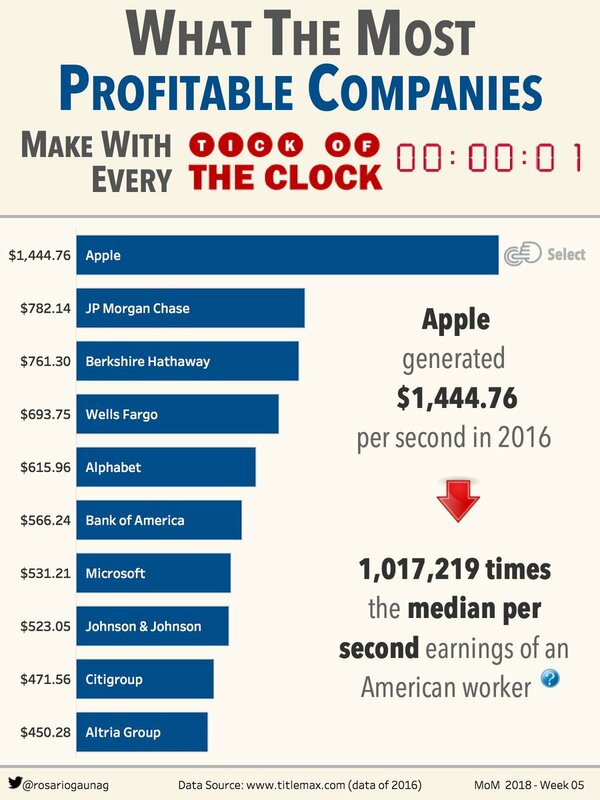 These are merely the companies in each specific industry that happen to be the top 25 most profitable companies per second. This is a basic analytical skill. If you are going to represent parts-to-whole, you need the whole. We don’t have that this week. Hopefully these two lessons will help everyone improve their analytical skills. We have a unique opportunity with Makeover Monday to practice our analytical skills. Take advantage of it. Take your time. Do a bit of research before you start. You’ll be better for it in the long run.